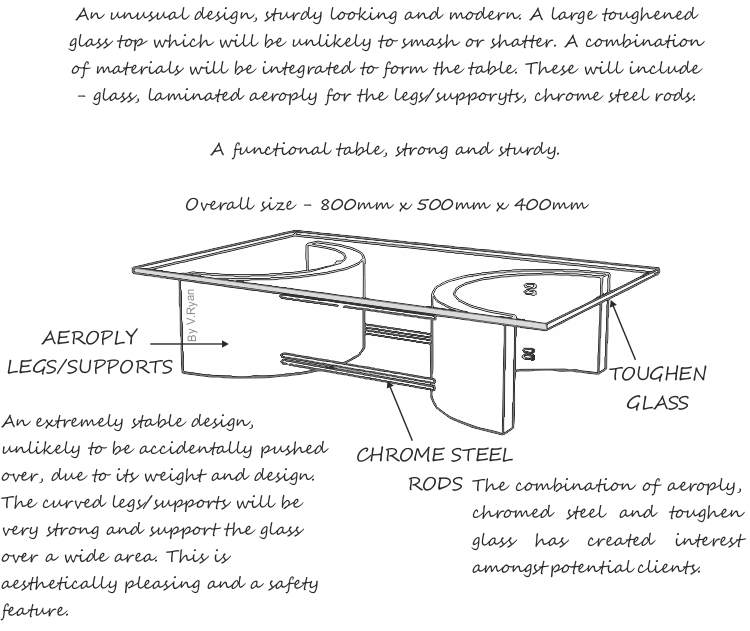 The thumbnail sketch below is a design of a small coffee table. This time, extensive notes have been added. Adding notes, allows the designer to explain the nature of the design, including the materials that could be used and why they have been chosen. Construction details are also added. This type of presentation, is normally when a number of basic thumbnail sketches / ideas have been drawn and one is selected for further development. This thumbnail sketch has been enhanced by adding colour/ shade. Further to this, detail has been included through the use of images, collected from the internet. This is a quick and time saving way of adding detail to a simple sketch.